It wasn’t too long ago that Playdius announced a whole slew of games for Switch. 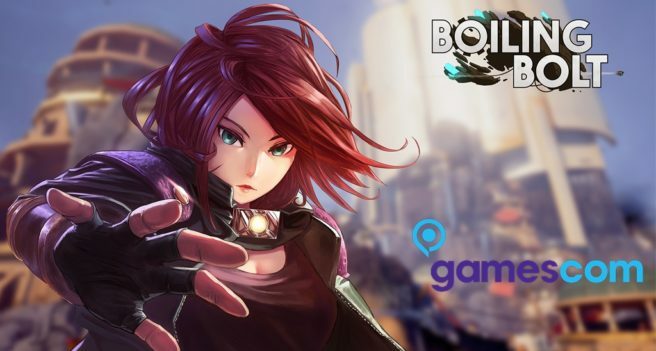 Along with everything else that’s planned, the company is working with Persistant Studios to bring Boiling Bolt to Nintendo’s platform. Boiling Bolt is a side-scrolling 3D shooter. We’ve attached a trailer and some information about the project below. It’ll be on display at Gamescom 2017 this month. Boiling Bolt is a 2.5D twin stick shooter with breath-taking 3D graphics and stunning PopcornFx effects. You are a young rebel battling the slavers that took over the world decades ago. You found a ship impregnated with a Boiling Bolt fragment, a mystical relic that finds the source of its power from the creation of the World. A long time ago, a war wrecked the world, leaving only flying islands from the Earth thanks to the strength of their crystals. Life went back to its course, forgetting that bitter past. A millennium later, the strange woman attacked Scire putting an end to this fragile balance. Play as June, a soldier struggling to defend her island against this organisation, wanting to drain its energy. Her decisions will prove crucial for the outcome of this world in ruins.